This week we’re taking our daughter, Erin, to college. Old College 101 Interest Project. As much as I’d love for her to enroll in GS University* full time, she will be attending SCAD, the Savannah College of Art and Design. At least she’ll be in Savannah. Every Girl Scout compass points to Savannah, birthplace of our founder, Juliette Gordon Low, and site of the First Headquarters. Both museums are within easy walking distance of the SCAD campus. But I was delighted to learn that SCAD is forging strong ties with the Girl Scouts. 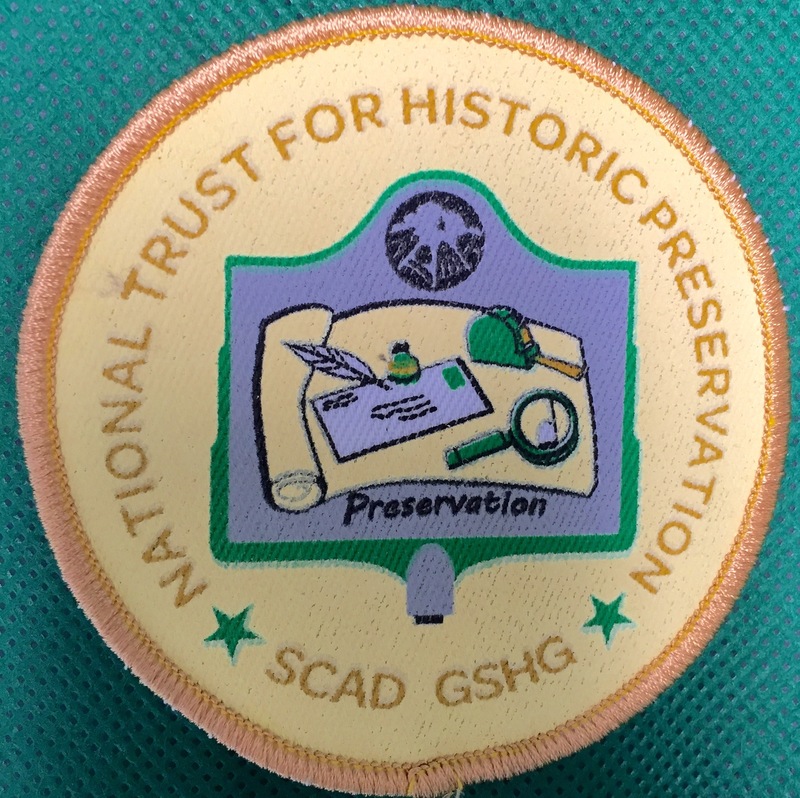 SCAD and the Girl Scout Council of Historic Georgia, which runs the First Headquarters, have collaborated to create a patch program on preservation. 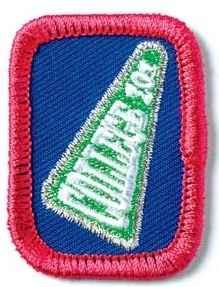 From the 1913 Interpreter badge to today’s Netiquette badge, proficiencies in reading, writing and speaking have played fundamental roles in the growth of Girls Scouts — fostering curiosity, exploration and intellect, as well as in developing their full potential. Tracing the arc of female writers and speakers from the beginning of time to the present, and inspired by muses, goddesses and heroines, the framework for this installation focuses on the themes of Memory, Knowledge, Imagination, Poetry and Wisdom. As a room of their own, this library provides girls of all ages a space in which to see themselves reflected and to find their own voices. Nourishing the senses, it can inspire them to remember, know, imagine, rhyme and reason, and from it, to grow wise — writing the world and making it a better place. I’m glad that she’ll be attending SCAD, a university that realizes the value of Girl Scouting. I’m also glad that even though Erin will be far from home, Savannah is a warm (as in friendly) welcoming city. We’ve already found our favorite Italian spot, Fra Li Gourmet, where Lisa is a gracious host and incredible chef. They even provide pasta for several SCAD eateries. At least I know Erin will eat well. *and what’s up with GS University? The website looks abandoned. This entry was posted in Exhibits, Juliette Gordon Low and tagged #frali, #gagirlscouts, #jlowbirthplace, @fraligourmet, Girl Scout history, Girl Scouts, girl scouts first headquarters, girl scouts of historic georgia, Girl Scouts of the USA, gshistory, Juliette Gordon Low Birthplace, Savannah College of Art and Design, SCAD. Bookmark the permalink.